On 30 March 2017, Buckinghamshire Libraries and partner organisations came together for a conference to reflect on what the future held in store for us. 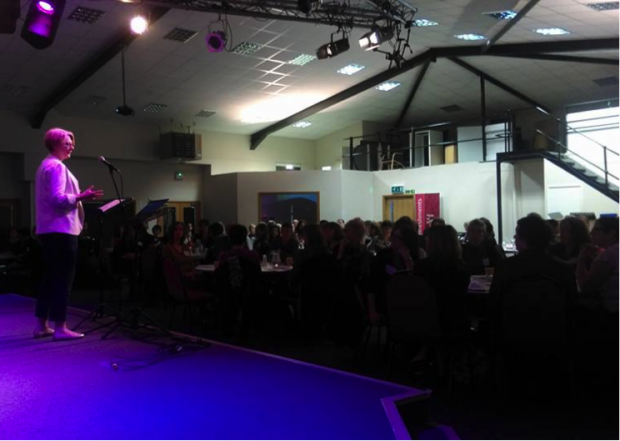 With 160 people in attendance and speakers from all corners of the county, it was a chance to celebrate the many successes we had achieved together and keep up to date with important changes that would affect us all. It was interesting to hear about our service from the perspective of the Senior Management Team who are always there working behind the scenes to make sure the service runs smoothly. Hearing about upcoming changes first hand from the people who make key decisions was a reminder that we're all in this together. Given that this is a time of uncertainty for libraries everywhere, it’s important to stay in the know and learn how we can adapt to changing times. Managing Director, Sheila Norris, said it best during her introductory remarks – “libraries are so much more than books.” We’re the face of the council; we can get the council's message out to the public. We’re also there at the heart of the community, the hub where people can meet in a neutral environment, join clubs and societies, find out more about local opportunities, and find the support they need in all walks of life. Who better than us to provide such services for the public? We’re well placed to facilitate these and more. After all, being in the centre of the action and knowing that we’re making a difference is one of the reasons many staff have chosen to work within the library service. David Jones, Head of Community Focus, recapped where we are in terms of budget and what we’ve done to save money to date. So far, we have investigated outsourcing, remodelling, and spinning out from the Council. Circumstances have changed and the main concern is now the Unitary proposal. The task of saving approximately £611,000 around April 2019/20 can seem daunting but, as David said, we will need to “grow, develop and innovate our way out of this challenge.” For example, this could involve a pragmatic approach such as mapping out council buildings and moving more services closer together to form new multi-purpose hubs. It has already involved integrating other services into our own, such as Tourist Information in multiple libraries. There are plans to merge Aylesbury Lending Library with Aylesbury Study Centre, thereby saving on long term costs. Head of Customer Experience and Communications, Sophie Payne, laid out the journey so far, detailing engagements with residents and the options appraisal last summer. The council's preferred option is Unitary, but the decision has yet to be made as to whether there should be one unitary or two (North and South). Questionnaires and telephone surveys will be the next logical step, and libraries will have a role in getting the message out to those who walk through our doors. Regardless of the uncertain times we find ourselves in, what became apparent during the conference was that Buckinghamshire Libraries have found ways to successfully deliver a diverse range of services to our customers. Hazel Edwards, Support and Development Manager, introduced us to the Learning and Wellbeing portion of the conference, which highlighted the ways in which we are able to carry out these key services. We watched a video showing people from local communities using computers for the first time, and how much they value the digital inclusion side of our service. It's clear that simple things like free WiFi and having staff on hand to help really does make a difference to library users. Buckinghamshire Libraries use Learn My Way as a platform for helping customers take that initial step into the digital world. Holly Bagnall-Bell from the Good Things Foundation delved into the impact made with the help of libraries. The organisation has supported over 22,150 people through developing Learn My Way, and as library staff introduce customers to this resource, we can share in that success too. Many libraries in Buckinghamshire hold one-to-one computer lessons for customers to ensure they don’t get left behind. Steve Naylor, Chief Executive of our partner Bucks Vision, spoke of how “the world is changing and people need to accept digital services.” With the ever increasing number of devices which support voice control and magnification for instance, our libraries are in a great position to help customers with visual impairments get online and self-serve. We’ve incorporated these into our IT lessons, as well as helping setup devices to access our eBooks and eAudiobooks. Partnerships with organisations such as the RNIB also help to improve the customer experience. Gina Nicholls, Information and Learning Services Manager, mentioned how "libraries were helping people long before Google." The understanding that a library is a centre for learning and knowledge is something which has developed over centuries - the only difference is the form in which that information takes. She went on to point out that staff and customers alike have fun in libraries, from events such as Geek Week and Coding Club, to Knit and Natter socials and coffee mornings. Fay Ewing, Area Manager (Wycombe), spoke to us about the ways in which we've helped on the Health and Wellbeing front. The statistics were certainly encouraging. Knowing that many NHS Health Checks had taken place in our libraries, and that we held the world's biggest Macmillan Cancer Support coffee morning, is definitely something to be proud of. 40% of staff had attended dementia awareness workshops which, in conjunction with our Reminiscence collection, no doubt helped with events such as Mental Health Awareness Week and Older People's Day. The Communities Manager, Angie Sarchet, and Community Development Officer, Roberta Wixon, gave us an overview of the new volunteering website and how much easier it is for members of the public to sign up. Volunteering for services such as the Bucks Home Library scheme, for example, can make a real difference to those that are housebound. There are over 200 volunteers in Buckinghamshire so far and these numbers will likely increase. 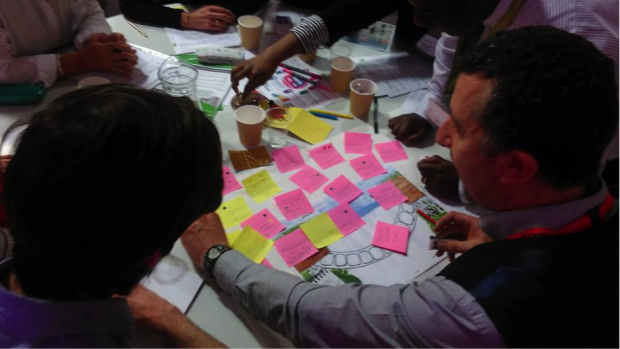 We had a group activity session to collate ideas about how we could connect organisations and volunteers. Project Manager, Simon Webb, outlined the plans for the Culture and Leisure side of the council’s services, with the aim to “make Buckinghamshire a destination of first choice.” It was fascinating to learn that Buckinghamshire was the birthplace of the Paralympic movement. The strategy in place was clear – to make Buckinghamshire an all-inclusive county while bolstering our visitor economy. We had the opportunity to watch a film on the transformation of Buckingham Library. The film showed a more vibrant and spacious library and the customer reaction to the changes was a delight to watch. David Jones remarked how this video was more than just about moving furniture; it was about working together toward a shared goal. This is a precursor to the planned refurbishment of Aylesbury Library. Karen Hills, Area Manager (Aylesbury), and Customer Service Assistant, Jo Lester-Moseley, took us through the plans to renovate this library. Staff feedback had been used to determine ways to make the library more inviting, autism and dementia friendly, and integrate the study centre with 22 new computers. The introduction of two new meeting rooms will undoubtedly help bring in revenue for the service. Zoe Loake, Digital Services Officer, spoke to us about her role in improving the service on the digital front. This included an informative presentation on how social media can make a big impact, and how the website is continually improving to give customers more options. For example, we learned that an online feedback form for the events we run would soon be live, and that Reading Groups would be able to book collections online. The Mobile Library service’s timetables are now easily accessible on various devices. Gillian Polding, Area Manager for the Children and Young Persons service, gave us an entertaining presentation on her service area which involved the reading of a children’s picture book ‘Calvin Can’t Fly’. The book was a good choice because it highlighted the fact that reading is important for all ages, and the pursuit of knowledge is an admirable one. 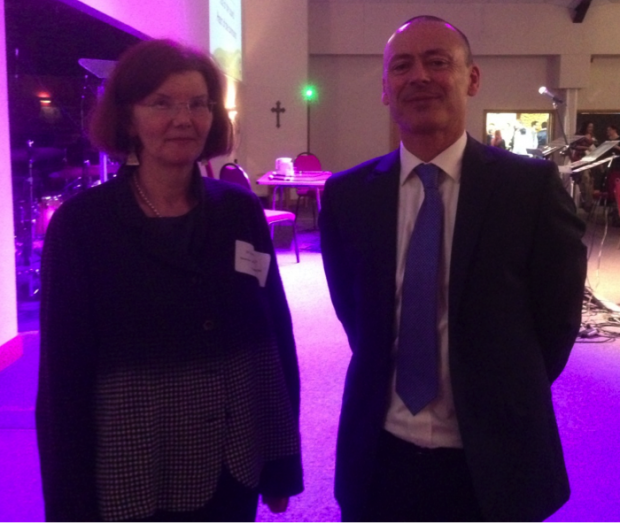 We were fortunate to have Debbie Lovell, the Prison Library Manager, and her guest speakers from the Prison Service present at the conference. The speakers explained how important the library service was in their environment, and how it provided a healthy form of escapism. Libraries can help prisoners prepare for the outside world when they're released, and initiatives such as the Six Book Challenge and the Shannon Trust Reading Scheme could help them become more literate. Library membership in the Prison Service had also jumped from 50% to 97%. This was an opportunity to remind ourselves that our customers come from many different backgrounds and libraries really can make a difference. Dr Jane O’Grady, Director of Public Health, raised some interesting questions for us to consider. What are our next challenges? Does our footfall reflect our communities? How can we reach more people? With 6,000 new potential readers born in Buckinghamshire every year, we will need to tailor our services to ensure there’s something for everyone. The conference ended with a Workplace Hero award ceremony led by Janet Webb celebrating the success of individuals and teams within the service, and video clips showing some of our highlights this year. Hopefully there will be many more successes in our future, and many more reasons to celebrate. To keep up to date with activities in Buckinghamshire libraries, follow them on twitter, look at their events calendar or read their blog. How will you mark 20 years since Harry Potter appeared?